GNC-ALFA CJSC was founded in 2007. In February 2012 the company became a member of Rostelecom OJSC group of companies. 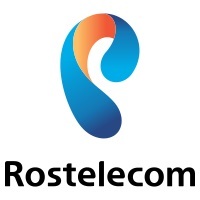 Starting from December 18, 2012 GNC-ALFA CJSC provides telecommunication services in RA under the brand of “Rostelecom” as a subsidiary company. As one of the leading telecommunications companies Rostelecom Armenia provides Internet access, Fixed telephony and new generation IP TV services to both physical bodies and corporate clients. During the period of 2012-2013 the company made large-scale investments in network development and expansion. Investments resulted with successful implementation of new “Fiber to the home” (GPON) technology in a number of cities of RA. Starting from 2014 the company provides services in cities Yerevan (Center, Erebuni, Nubarashen, Ajapnyak, Avan, Nor Nork, Davitshen, Malatia-Sebastia, Arabkir districts), Abovyan, Charentsavan, Hrazdan, Vanadzor, Gyumri, Ashtarak, Metsamor, Armavir, Masis, Artashat, Ararat, Sevan, Dilijan, Ijevan, Kapan, Martuni, Alaverdi and Kajaran. Sales and support offices and shop-in-shops are operating in all cities mentioned. The network of Rostelecom Armenia is solely based on fiber-optic cable (FOC) infrastructure covering 80% of the territory of RA and spreading for over 3000km. It is connected to region’s main terrestrial networks and largest traffic exchange nodes as well as international channels of Iran and Georgia. Rostelecom has built 40Gb/s network covering all municipalities of Yerevan and providing high-speed internet connection to all customers. The Government of Republic of Armenia, State institutions and International organizations, Corporations, local Commercial Banks and Financial institutions, operators are listed as Corporate clients of GNC-ALFA CJSC.